Meat restaurant “Bochka” – the first Moscow project of Andrey Dellos, opened its doors in December 1996. Here guests come for the delicious home cooking, famous young bull beef on the roasting jack, variety of meat dishes and a unique French chalet atmosphere. 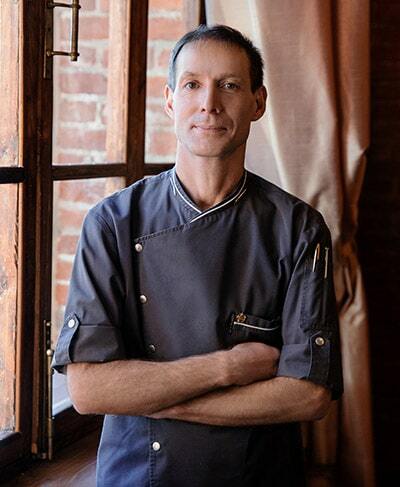 Igor Bednaykov is the chef of Bochka Restaurant, Andrey Dellos’s pioneer project. Bochka was opened in 1996, offering its guests home cuisine and relaxing atmosphere of a medieval inn. In 2010 Bochka was closed for renovation and reopened as a gastronomic restaurant with differently organized and decorated space and revamped menu concept. Igor Bednaykov is talking about Bochka’s past and present, home and molecular cuisine, ordinary cooks and chefs as well as about the nature of taste.